Allan Faqeer Sindhi Classical Music Singer. He was legendary most popular Sindhi Folk Music Singer. He was great Singer of Sindh and Pakistan, he sung hit songs in different languages such as Urdu, Sindhi, Saraiki and other languages. He was Master of Sindhi Classical Music. He was great Artist his singing style introduce her legendary singer of Pakistan. He was famous for his beautiful and wonderful style of performance, specially dance in Sufi Songs. Allan Faqeer had sung poetry of Sufi poet "Hazrat Shah Abdul Latif Bhitai R.A", "Hazrat Sachal Sermat RA", "Hazrat Bedal Faqeer R.A", "Hazrat Manthar Faqeer R.A" and other popular Poets of Sindh. His style to say "Shah Ja Bait" was very popular. He sung popular song with Muhammad Ali Shehki on Pakistan Television in 1986 "Allah Allah Ker Bhaya". I have selected below most popular Sindhi Folk Music of Allan Faqeer. Allan Faqeer was born on 1932 in Village Aamari, District Jamshoro Sindh and he belonged to Mangrasi tribe, the Manganhars are believed to bring happiness and welcomed on festive occasions for their gift of melody. Allan Faqeer was very popular Pakistani Folk Singer and he create great name in Sindh Music. 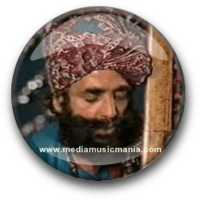 Allan Faqeer was great and famous Singer and and he performed in Sindhi Classical Musician, Sufi Music, Sindhi Folk Music, and Sindhi Lok Music, specially in Sindh, Pakistan and all over the World. His sweet sound and style of his singing was popular on Radio Pakistan and Pakistan Television. He got Pride of performance award from Government of Pakistan in 1980, Shahbaz Award in 1987, Shah Latif Award in 1992 and Kandhkot Award in 1993. Legendary Sindhi Singer was breath his last on 04th July 2000.